Focused on Story: Follow Blog Fest--Come along and join the fun! Follow Blog Fest--Come along and join the fun! Blog button designed by Carrie Butler. Hello and welcome to the J.Q. Rose blog. Today begins the Follow Blog Fest, the brainchild of Melissa Maygrove, The purpose of this blog fest is to offer a platform building opportunity for writers. Come on in and stay awhile. The food table is in the back of the room decorated with fall mums and colored leaves to celebrate the first day of Fall with you. Please help yourself to fresh apple cider and donuts too. I'm looking forward to meeting you. Yes. My mysteries are with MuseItUpPublishing. The non-fiction book for girls, Girls Succeed! is self-published. Do you do anything in addition to writing? We are campers, but not the tenting kind. I have to have a microwave and an electric blanket when I camp. We enjoy traveling and, in fact, RVed full-time for over eight years and loved it. I never thought I could live with just a couple of pans, couple of shorts, and jeans, but I did. Not much space in a camper, but great for those who, like me, hate housekeeping! Which authors influenced you the most? I know I'm probably in the minority, but I am not a tweeter. so I would be happy to be your guest too. Thanks to Melissa Maygrove for spearheading this clever Follow Fest project. Thank you to all of you for stopping in. Please leave a comment below so I can visit your page too. Thank you for participating, JQ! I enjoyed learning more about you. I'm envious, too. One of these days, I want to take an RV and see the US. What a fun blogfest. It was fun learning more about you J.Q! Hi Melissa, thanks for stopping in. I will take you up on swapping posts for sure. Thank you. Hi Susanne. This is a new kind of blog hop for me. Should meet a lot of folks! So you are a luxury camper. I can totally relate. I like to think I could rough it but every time there's a power outage I panic, certain that people will soon be turning on each other for bottle water and Spam. Hello Ava, nice to meet you too. Love your concern about folks turning on each other for water and Spam! Sounds like the beginning of a new novel!! Mmm.. I never gave it much thought, but camping with an electric blanket sounds amazing!! Grandmothering counts big time! Great to meet you. RV's are nice, but boy, 8 years??? *whistle* Does that mean you didn't have your house in MI or the one in FL then? 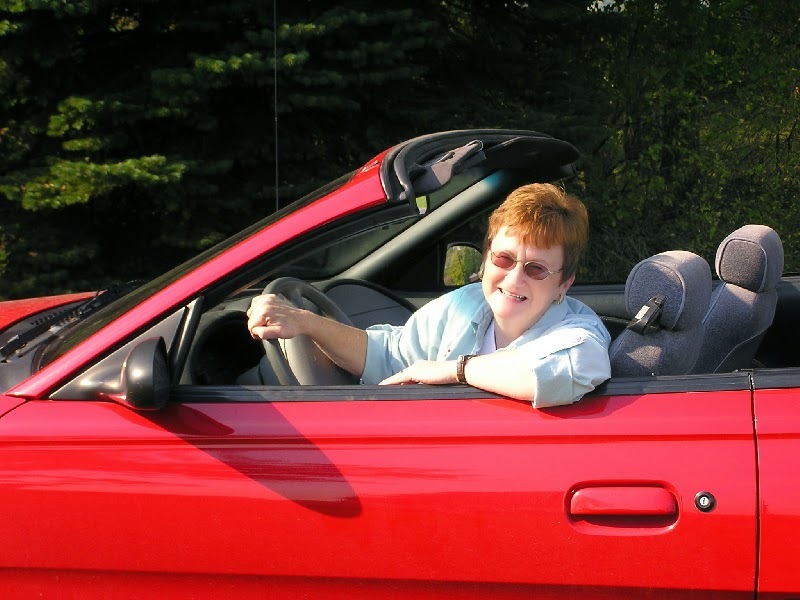 What made you decide to stick to one place after that many years (and miles) on the road? RVing for 8 years?! I'm jealous! Looking forward to following you. Have liked and befriended you. Olivia, electric blanket for sure. With that said, I have to always have electricity, but we have gone without a water hook up as our RV has a big tank to hold drinking water and 2 big tanks for holding used water like from the sinks and another tank from the toilet. Hmm, TMI? Thanks for stopping. Hi C Lee--yay for grandmothering. I enjoy your posts on IWSG. Thanks for stopping by. Hey IB--I never told you about the RVing days? Hmm..I wonder if that would be worthy of a book. Got me thinking now. Watch out! Yeah, full time RVing. No house anywhere. It was wonderful!! Peggy, thanks for friending me and following. I'l find you and do the same! This is a great blog hop! Aww, mystery. A woman after my own heart. Have a great Follow Fest. I'm so happy we got the chance to connect. One the characters in my WIP lives in an RV. I wish I could. I do hate housekeeping. Unfortunately, I also am a collector so my RV would be packed. Hi Dawnall, thanks for stopping by. Mystery for you too? High five! Hi Pat, I'd love to read your story with the RV character. The campers/motor homes nowadays could be considered condos-on-wheels. Everything in them if you want to spend the money. No room for collections for sure! Good to meet ya'! Grandmothering does count!! Must It Up sounds like a cool publishing name!! I like your version of camping. i don't do tents either. Madeline, "dreaded housekeeping" made me laugh. My thoughts exactly! Right on, Alex. Tried a tent once and that was enough. I'd say grandmothering counts! So nice to learn about you through this blog fest! It's wonderful to meet you. So thankful for this blogfest, I loved reading all about you! Hello, Rose, nice to meet you!! You sound busy! RVing would be tons of fun! Mmmm, apple cider! Great to get to know more about you through Follow Fest, Rose. RVing for 8 years! Yowza! You're one brave chick!! Nice to meet you, JQ. Tents can be fun, I just hate putting them up! You must have some great adventures with the grandkids in the RV. Sherry, Grandmothering is a blessing. Romance Reader, Blushing. Thank you. Catherina, Nice to meet you too. Dani and Jax, Rving is fun, but let me tell you living full-time is a lot easier. I hate the packing and unpacking part of recreational RVing. But it's worth it! Ava, Thanks, Ava. Not a brave chick, my DH was with me all the way! HI Anna, Yes, we do get to know each other better thru the follow fest. What a great idea! Hi Loni, yes we met through IWSG. What a great bunch they are there too. Thank you for stopping by! Hey, nice to meet you! I love to travel, but yeah, I'm not a happy camper in a tent. Lately I've been spending some time back in college housing, going to workshops all over the place, so much fun! Totally goina check out your Girls Succeed blog! Nice to meet you on the hop! Hi J.Q. nice to meet you. 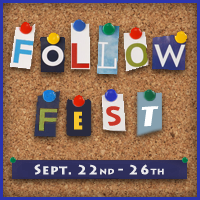 I'm still making my rounds on the Follow Fest list (determined to make all the stops). Thanks for sharing an inside view of yourself. I'd love to know what J.Q. stands for. Also nice to know you're an ex teacher and florist. Happy camping. kelworth--No tenting, but college dorm? What kind of workshops? On writing. Sounds like fun. GL--thanks for stopping in. Do you write for MG readers? Yes, please stop in at Girls Succeed. Thanks. Demetria--Kudos to you for trying to visit everyone on the blog hop.! J stands for Janet and Q is for my maiden name. J.Q. Rose is my pen name. I chose rose because I was in the flower business but mostly because I love roses, any color, any fragrance. Grandmothering certainly does count! Great to meet you! Hi Southpaw, good to meet you too. I suspect you are a leftie.